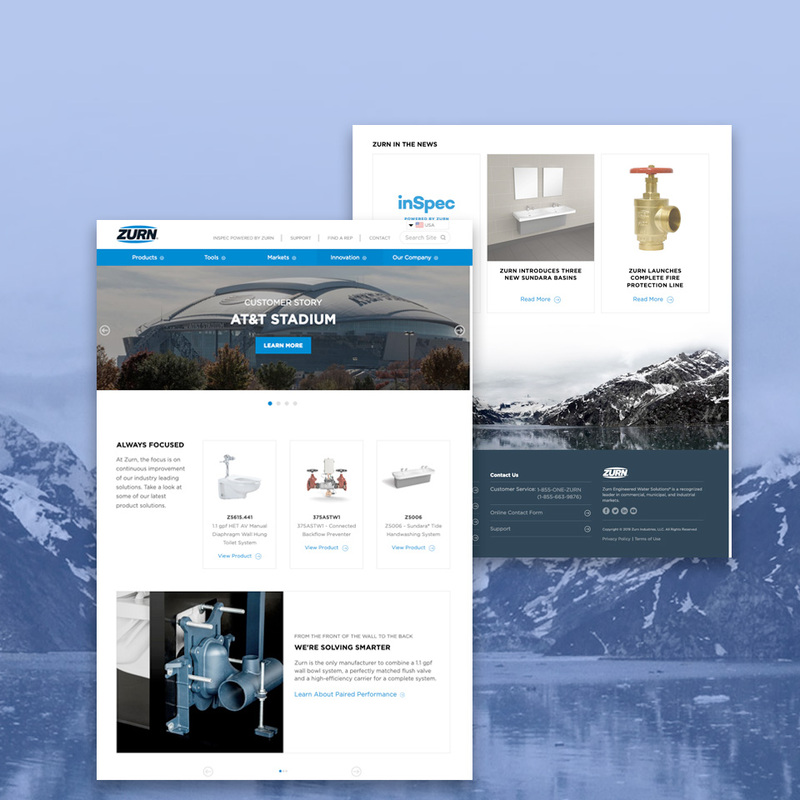 Zurn, a leading manufacturer in engineered water solutions, had a non-responsive and unwieldy online product catalog. We turned it into a seamless website experience that resulted in improved site performance and customer engagement. Zurn has a catalog of over 6000 products and growing. Their website was not responsive and content management was a challenge (they used a combination of Excel documents and SharePoint to manage product information and general site copy). Their site lacked clear navigation and they could not keep visitors engaged along their buyer journey. Through strategic planning sessions, we analyzed the existing site’s structure, outlined persona and user journeys. To support our findings, we reorganized Zurn’s product catalog content by each stage of the purchase journey—from first impression to nurturing. In addition, we helped Zurn develop key performance indicators (KPIs) and a method for reporting and analytics. Given Zurn's complex site journey, we implemented Kentico EMS for its online marketing, e-commerce, content personalization, and content management capabilities. We handled data import from their product database and built an e-commerce feature where visitors could purchase parts. Post-development, Zurn content editors can easily edit and publish product data. Zurn received the Communicator Award for Website Design in the Manufacturing category.